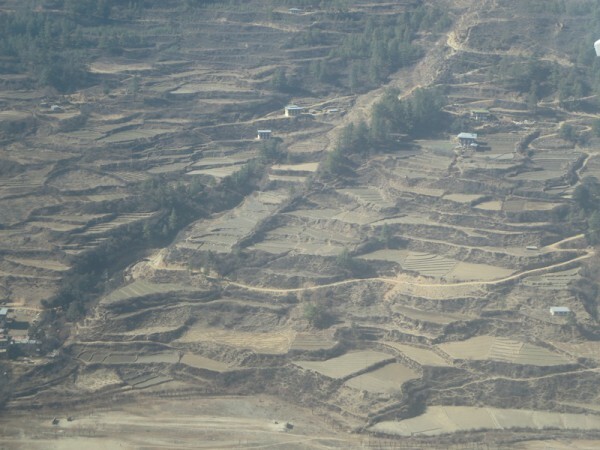 The word electronics can roughly be translated into the Bhutanese language of Sharshopka as either ‘pohk pah’ – meaning broken – or ‘poht baela’ – meaning will break easily. 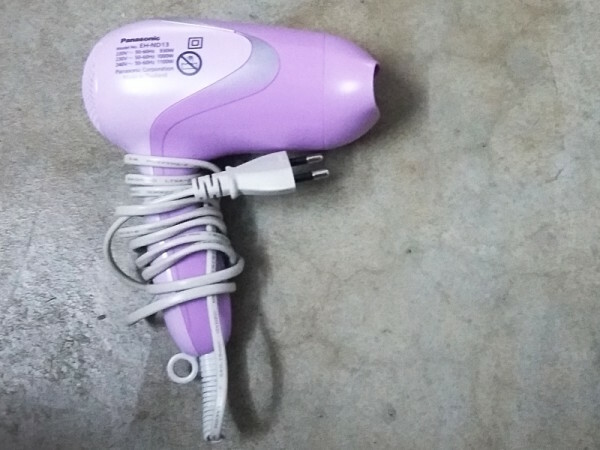 Meet our latest casualty, the one month old 1100 watt purple hairdryer. As you can expect, it follows a long tradition of electronics that have met their demise at our house in Bhutan over the past year and a half. The list is long, including electric heaters, kettles, fans, portable hard-drives, projectors, cameras, computers and printers. The ways in which these electronics have met their demise is equally diverse including corrosion, mould, ants, drops, shorts and lightning strikes. It was a hot and humid morning. The birds were chirping peacefully outside, and the night bugs had given up on their nightly attempts to break through the mosquito net that’s draped haphazardly over the bed. My consciousness was slowly shifting between the states of sleep and wakefulness, a process that takes me well over an hour these days – sometimes two. The process had started some time ago with the dozen or so different alarms that Ashley’s cell phone pounded out back-to-back. Ever so subtlety, I recognize the hum of the hairdryer, and it’s rhythmic sound lulls me back towards sleep again. If you know anything about medicine, and this is cause for concern, please tell me. It’s no joke. I really can’t get up in the mornings. I’m awoken more fully a few minutes later by the sound of Ashley’s voice. I have no idea how long she’s been talking to herself nor what she’s saying, but I’m faintly aware that the hairdryer has stopped. Eventually, my brain catches up to my ears and I realize that she’s not just talking to herself, but to me. “I was just saying what a great purchase this hairdryer has been. It’s nice going to work with dry hair in the mornings.” She says this as she preens in front of our small mirror. And that was that. Fate was sealed, and there was nothing to be done about it. Neither one of us had had the forethought to ‘touch wood’. A jinx can be a powerful thing, and as you already know, this morning the purple hairdryer warmed itself for the last time, puffed a bit of smoke, and settled into it’s cold afterlife. I suppose that remains to be seen. My first thought was to simply open it up and fix it. This is the land of reincarnation after all, could not I breathe some life back into this simple appliance. Alas, I was beat before I began. There is a single inset screw holding the chassis together. A hex head screw. It’s a little hard to describe the feeling of being beat by a screw whose matching driver should be readily available, but I’ll try anyways. There are virtually no tools here. At least not in the East of Bhutan where Ashley and I are stationed. Entire houses are built using mud, rocks, and a locally made cross between a knife and a machete called a ‘patung’. After living here for a year and a half, I was finally able to procure my first tool of any kind just a few weeks ago. Not the ‘patung’ I really want, but a $5 set of screwdrivers containing two sizes of Phillips, and two flats. I’ve tried to borrow similar screwdrivers before, but they just don’t exist here. Tools are neither owned nor sold. The process of acquiring my screwdrivers involved finding someone who was going to the Indian side of the border town, Sandrup Jongkhar, and asking them to go shopping for me. In general, for most shopping trips, I’d have to estimate the cost of what I wanted in advance and send enough money to cover the purchase. If I underestimated, I’d have try again with the next person who headed South. If they couldn’t find it, I’d have to try again next time. If the shop was sold out, next time. 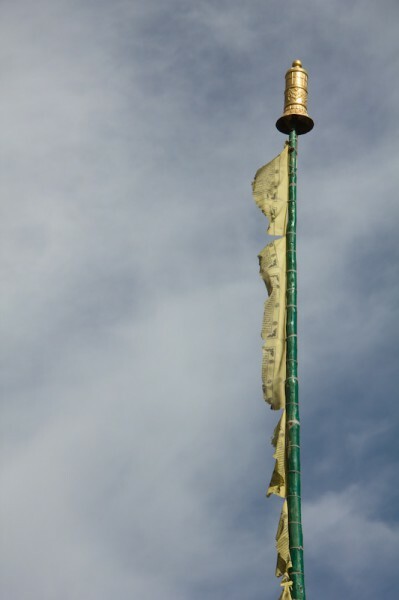 Going myself would simplify things greatly, but alas I lack the appropriate visas – both on the Indian and Bhutanese sides. Another option, that I’ve used when ordering electronic parts, is online shopping. Typical shipping charges begin at about $80CAD, and delivery times range from about 3 weeks to 3 months. Also from experience, not all shipped boxes arrive. This makes ordering online a bit impractical in this case. I know that there are a few Chinese companies that will ship internationally for free, but the long delivery times and probability of not receiving anything at all still exist. And the problems don’t stop there. If I do manage to open it up, there’s a chance that the damage will not be visibly obvious. Then I’ll need to test it electrically. Inevitably, that will require the use of a multi-meter. So, a second trip to India or another bout of online shopping. Even after receiving a multi-meter, I will only then be able to identify the damaged part. Replacing it will once again require the use of online shopping or convincing an India going friend to do some shopping for me. By my estimation, a DIY rebirth of this hairdryer will take about 9 months. My parents are probably thinking I should be working on something else that takes 9 months instead. Okay, I’m being melodramatic. Most likely, I can send the hairdryer itself to India for repairs, where all of the parts and tools will be readily available. I’ll just need to arrange someone to drop it off and someone else to pick it up. 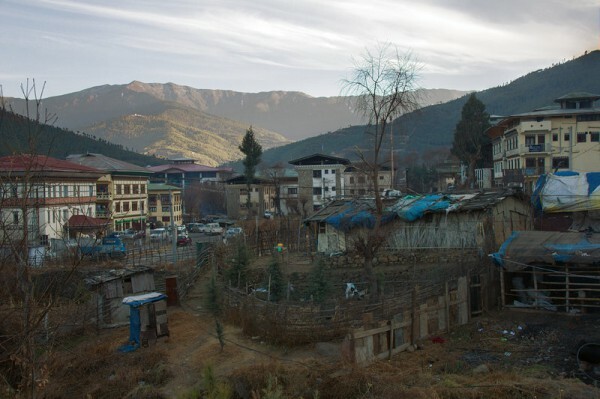 In the worst case, we’ll be back in Thimphu this winter, and Ashley can replace it with a new model then. She’s already gone 16 of the last 17 months without dry hair in the mornings, another 5 won’t hurt. 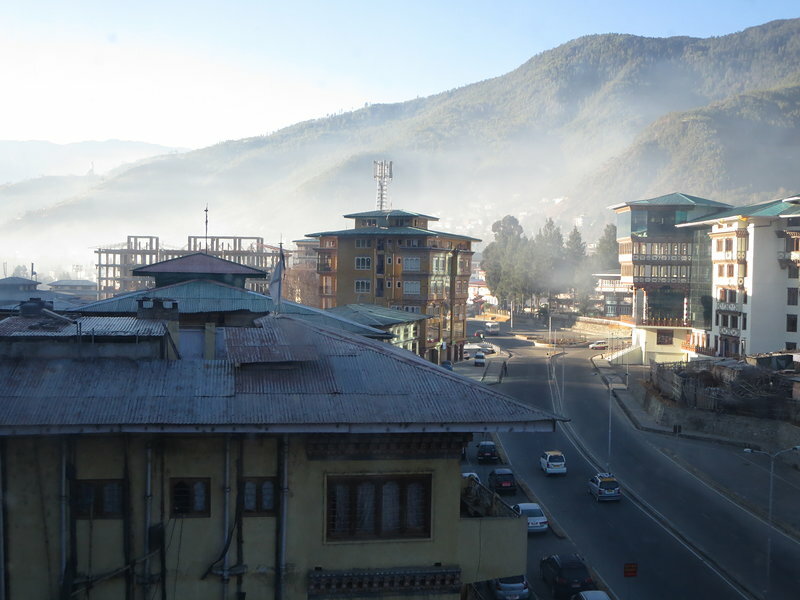 So to sum up, we’re still living in Bhutan; we love it here. Our electronics are breaking at a rapid pace. Everything we need is available locally. Everything else is difficult to get. This includes the aforementioned electronics and tools, but also simple things like eggs, vegetables, cheese and fruit. That’s not to say we are not eating, but to say we have a current selection of cucumber and potatoes from which to choose from. Selection varies throughout the year. 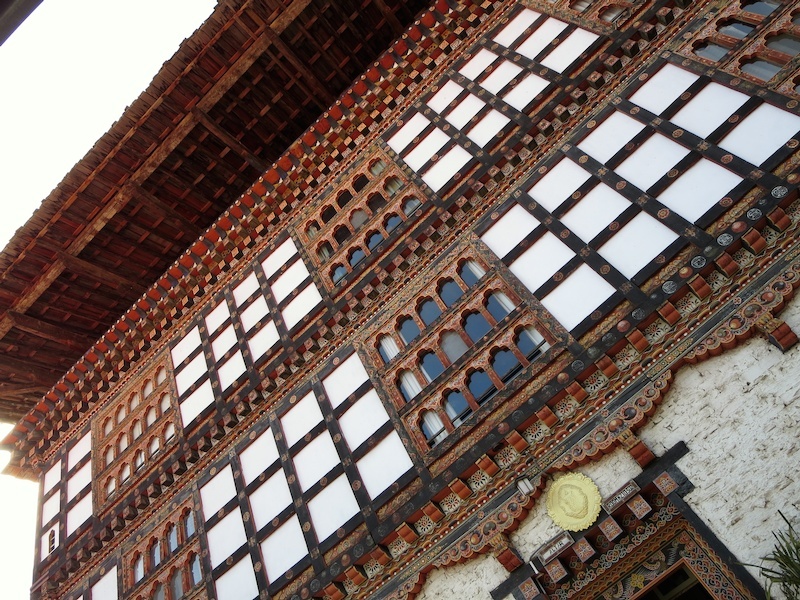 I’ll be the first to say, we’ve done a terrible job of blogging while in Bhutan. Somehow I just lost interest in it. I’d kind of like to pick up the game a bit if anyone is still interested in reading my ramblings, but I don’t know where to start. I also make no promises. Notwithstanding, if you have any burning questions ask in a comment and maybe I’ll drag the response out into a full blown post, or not. Wife-sick. This is the term that my colleagues have jokingly been using in place of the more traditional term “homesick” when referring to me. I’ve been living in Western Bhutan these past 5 weeks, while Ashley has been living in Eastern Bhutan. 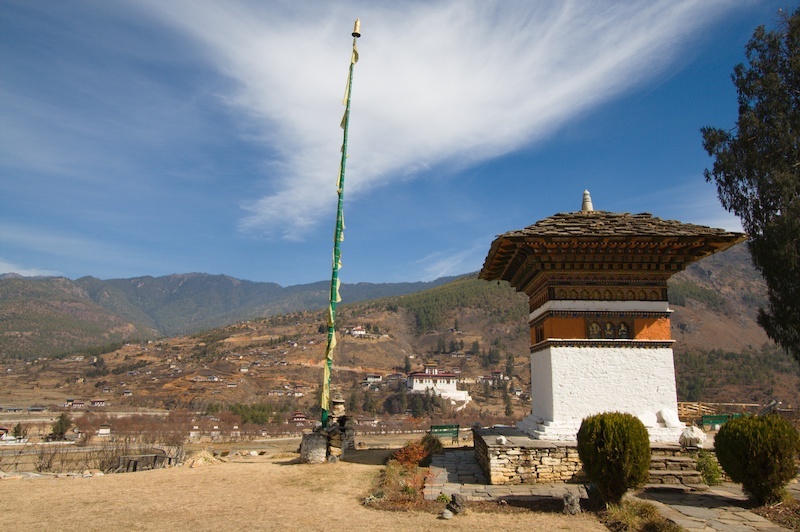 I know what you are thinking – Bhutan’s small, what’s the big deal? And to this I must reply, “six hours in a car on a Canadian highway is equal to a 3 day journey in Bhutan.” Now that I’m employed – oh, did I forget to mention that? – and Ashley’s working every day of the week but Sundays, visiting has just not been an option. Okay, “employment” is probably too strong of a word. I’ve been masquerading as a grade 7 English teacher since arriving in Chamgang (a small community just up the hill from the country’s capital, Thimphu). I’m not exactly employed, because I’m neither receiving remuneration, nor am I qualified to be a teacher (strictly based on an educational requirement of a bachelor’s degree in education). On the flip side, I sort of am like a real teacher in that I have regularly scheduled classes, I teach lessons based on the curriculum, I give and mark assignments along with tests, and I generally perform the roll of a classroom teacher. Officially though, I fall loosely under the title of guest speaker. Why on earth have I agreed to do this, you ask? The story starts way back when Ashley and I first found out about this wonderful opportunity through the BCF (Bhutan Canada Foundation). We had been searching on-line for ESL jobs after becoming enlightened to the fact that we just weren’t ready to go home and resume the “traditional Canadian lifestyle”. The goal was not to find Ashley a job so I could loaf around while she brought home the bacon, though that has been a somewhat pleasant side-effect, but to find a teaching job for the both of us. True, I don’t have a teaching degree, but in many countries being a native English speaker with any kind of bachelor’s degree is enough. Anyways, we fell in love with the idea of Bhutan and ruled out all of the other teaching destinations that we had been looking at. After some time, Ashley secured herself a job, and I postponed my dream of teaching in favour of becoming a “house husband”. 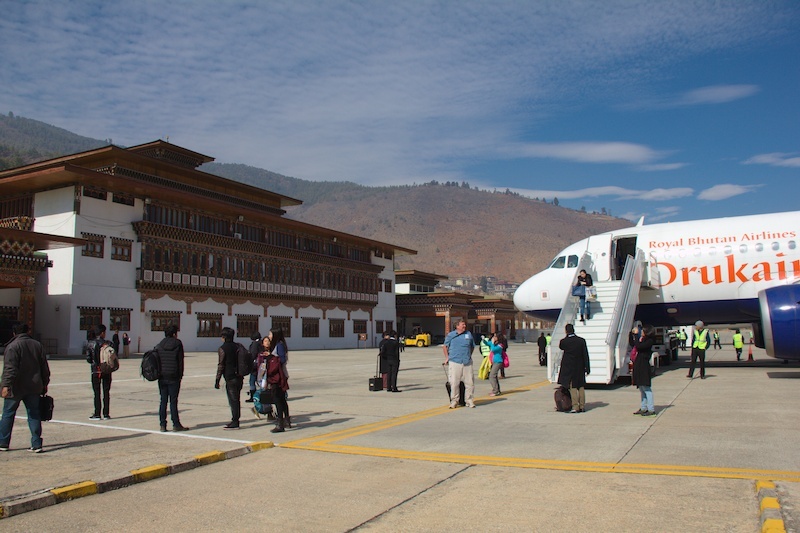 After a long application process, which we’ve talked about before, we finally arrived in Bhutan. It was here that I met a certain Mr. Matt, an incumbent teacher with an interesting predicament. Long story short, his wife was expecting a baby. The delivery was planned to take place in Australia, close to family, and he was actively looking to recruit a “native English speaking house husband” as a substitute teacher. Substitue teaching is not a common part of the Bhutanese education system, and without my involvement Matt’s classes would have been covered by a variety of teachers and staff. Having a single teacher would be a vast improvement over the ad-hoc replacement that was expected. Just then, a thought ran through my head – wouldn’t it be great to try out being a teacher for a month or two without a long term commitment. It would sure beat moving to someplace like Korea only to find out, one month into a year long contract, that teaching just isn’t my cup of tea. As the saying goes, “How do you know [if you’ll like something], if you don’t try?” So I said, “yes!” and here I am. So now I am a teacher. Just like my mother, and loving wife. And you know what? I quite like it. The staff have been super welcoming. The children seem more than happy to have me here. Practically everyone in town calls me Sir, though that moniker is given to all male teachers in the country so I shouldn’t let it go to my head. Beyond that, I’m happy to be here. Teaching is rewarding work. I don’t think I could have guessed how rewarding before trying it, and I don’t think it’s possible to describe to someone whose never been at the head of a classroom before, so I won’t go into much more detail. Just keep in mind that I like teaching very much. My transition to Chamgang has been made easy by virtue of the fact that I’m living in Bhutan. If I need anything, someone is willing to help me out. This includes cooking for me, guiding me up the mountains for weekend hikes, providing me with fresh un-pasturized milk – you Canadians with your draconian dairy laws are really missing out – and farm fresh eggs, rides into Thimphu, and just hanging out. The last item here is actually the most important one. Being board is seen as a terrible thing here. There’s such a sense of community that nobody can stand to see me sitting alone, at home, by myself. I’m invited out to play sports (football, basketball, footsal, and volleyball) on a daily basis despite my lack skill. The truth is, living and teaching here is very easy for me. It’s not all roses, of course. If I wanted to, I could lament about the lack of internet access, the squat toilets, and the fact that I have to boil my water before I can drink it. I could also talk about all of the school related problems such as long tedious meetings in a language I don’t understand, having to witness student humiliation as a form of discipline, students bullying and teasing each other and all the rest. But to me, these things are so minor compared to the positive elements of Bhutan living and school life that I could just as well not mention them. That brings me back to the beginning. Wife-sickness. If Ashley were here with me, I think I’d be quite happy teaching for as long as they would allow me to. But as it stands, my tenure as teacher is coming to an end. It’ll be with mixed emotions that I leave my post, both sad to leave my new home and school in Chamgang while at the same time I’ll be overwhelmingly filled with joy at the thought of returning to Ashley in Nangkor. In any case, my time here is nearly up. My substitution job will finish, and my wife-sickness will soon be over. At least now I know that I enjoy teaching. There is a chance that this knowledge could open up a future lifestyle for Ashley and I. Could we permanently become nomadic teachers? 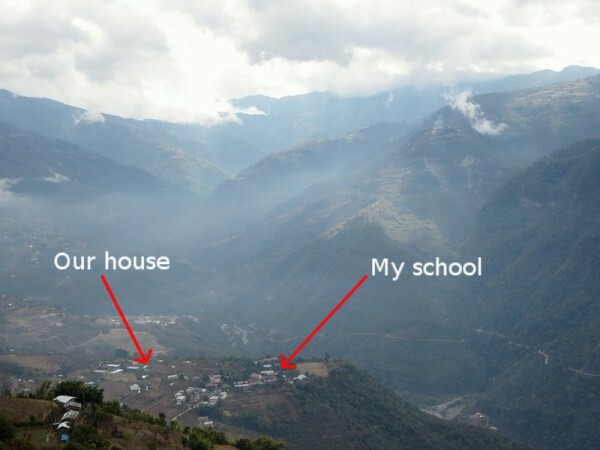 Or even better, could we be lucky enough to both land long term teaching jobs in the same village in Bhutan? Who knows, but possibilities are better than no possibilities. Note from Ashley: After a month and a half of living in and falling in love with Nangkor, Mike has returned to the capital, Thimphu, to try a new adventure. He will be substitute teaching for about the next two months for a fellow BCF teacher that is on leave. I, of course, am still in Nangkor teaching at the higher secondary school. This marks the first time that we have spent more than a week apart in the 11 years we’ve been together. 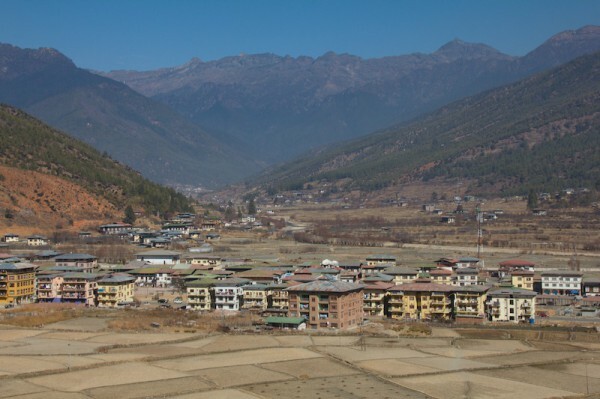 I’ve now traveled to and from Thimphu in the west and our village, Nangkor, in the east. Looking at numbers, it would appear to be no big deal. As the crow flies, we are only talking about 400 km, with a grand total of only 600 and some kilometres if you take into account all the curves in the road. But, it is a bit of a big deal. The highway is a partially paved, cliff-skirting, mountain climbing, twisting, single lane roadway. There are no speed limit postings but, in a way, that makes sense. There’s just no need for them. I’ve heard tales of drivers who have gone as fast as 50km/hr, but that was a once-in-a-lifetime top speed, reached for mere seconds. The majority of traffic seems to move somewhere between the speed of walking and about 30 km/hr – not including stops for road construction, of course (the road is being widened so this post stands the chance of becoming an outdated relic in the near future). With that perspective, I can now tell you that our trip from Thimphu to Nangkor took us a total of five days. In fairness, we were making a lot of stops, as we had 16 new teachers, not including ourselves, to drop off along the way. I’m also happy to report that I’ve just beat my previous record in the reverse direction. Only four days this time! Truth be told, I don’t do much hitchhiking. I’m usually happy enough to take a bus (except in Canada where it’s cheaper to drive a rental car). But, Bhutan is special. It’s unlike any other country I’ve visited, in a very good way. For one, there’s virtually no violent crime. Second, people are friendly and helpful. Nearly every passerby stops to ask where I’m going even when I’m not trying to hitch a ride, and there’s nearly a 100% chance that any car passing will stop to pick me up if they have the space to squeeze me in. Third, I have those 16 teachers scattered along the road who can give me a place to spend the night. Considering this, hitchhiking seemed like the best possible mode of travel available to me. Easy as pi. I started out at 8:30AM. Before I had taken my 100th step along the road I was comfortably seated inside a vehicle. The driver took me up the hill to Pemagatshel Dzong. From there I waited only 10 minutes before a gypsum truck pulled over and took me to the highway junction. I’d already come a good distance considering it was just time for lunch. I sat by the road and consumed some of my travel snacks. Like magic, just as I finished my last bite of cracker, I had my next ride. It was the blood truck headed to Mongar Hospital with fresh donations. The driver spoke incredibly good English. We chatted about Canada, Bhutan, Sharshopka, the hospital, the guy who got an arrow in the eye during Losar, trekking, and Buddhism all the way to Khaling. I could have kept going all the way to Mongar, but I had already planned to visit my friends Brett and Angie for the night. Here’s what’s crazy though. None of the drivers would accept a single cent from me despite the fact that I offered. Even more, the driver headed to Mongar exchanged phone numbers with me and bought me tea and lunch before saying goodbye. It was great catching up with Brett and Angie. Brett the chef, cooked a nice meal and shared some of his private scotch reserve with me. Not to mention the rare gift of brewed coffee. A resounding success for the first day. Mongar is not that far from Khaling, so I had a leisurely morning and started a little later than the day before. It was nearly 10:30 by the time I hiked up to the highway. I was a little eager to stretch my legs, so I started walking. I had made it less than 1km before a mechanical engineer picked me up. He works for the Bhutan Power Corporation and was on his way home. We had a lot to talk about, as I’m also an engineer, and I too used to work for a power corporation. The time flew by, and before I knew it I was standing right outside Paul’s house, where I spent the night. I was rather lucky to arrive the day that I did. Paul was invited out to a birthday party, and I was asked to come with. I got to meet a good portion of the staff that Paul works with – who, of course, ensured that I was well-fed and watered. 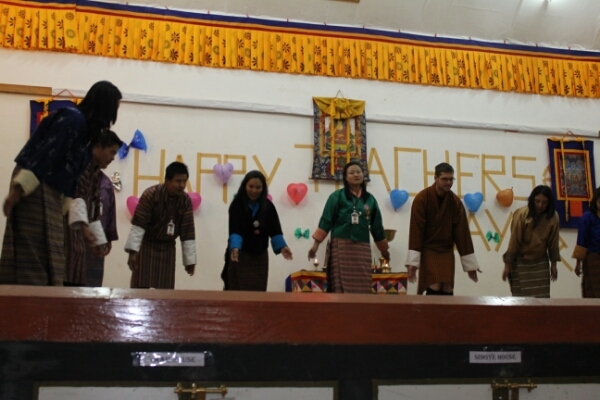 We sang and danced until the middle of the night to a mix of traditional Bhutanese songs, western dance songs, and the chicken dance (which was a smash hit amongst both children and adults)! At the party, I was told that hitching a ride between Mongar and Bumtang would be nearly impossible. Partly because I wanted to leave Sunday morning, and there would be little to no traffic, and partly because I’d be going up the mountain. Assuming that I could only find a ride part way, I’d have to be prepared for the cold. Which I wasn’t. It turns out the bus is reasonably cheep 615Nu ($12CAD), so I didn’t fight the advice. 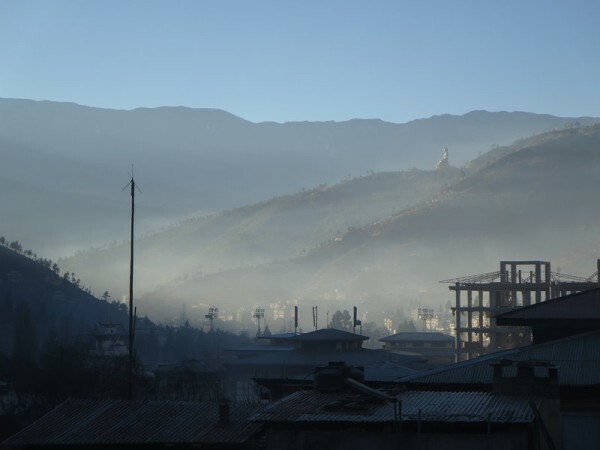 I had to get up early, which was a bit of a feat after the wild night before, but I managed to get there in time to purchase the last ticket to Thimphu. It took 9 hours on the bus to reach Jakar in Bumtang. During the day, I met a wood carver from Mongar who is planning to start work on a monastery alter in Pemagatshel soon. We exchanged phone numbers so that I could see his work once he got started. His English was very good and he helped me to communicate with the driver. My intention was not to spend the night at the hotel where the bus had stopped, but to press on to Chumey and visit the Diver family for the night. This entailed a morning pickup on the highway from the bus driver. As luck had it, the Divers were in Jakar shopping, so it was easy enough to meet up with them and share a cab back to their house. Again, it was nice to share a good meal and conversation. In the morning, I received some homemade bread for the road, which I found a real treat, and the bus picked me up as planned. 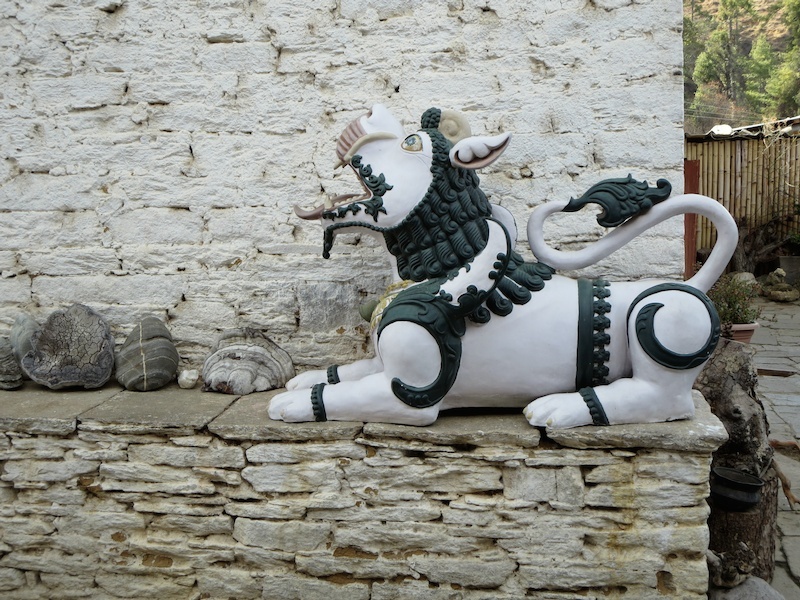 My friend the wood carver wasn’t on the bus today, He wasn’t planning to go past Bumthang. I was a little worried that I wouldn’t have anyone to talk to the whole day, but I needn’t have been. The lady who I had been sitting beside all 9 hours the day before greeted me with a few simple words in English when I was picked up in the morning and it didn’t take long before we were conversing in a mix of Sharshopska and English. She taught me some new words, and we were able to tell each other about our families and their various jobs. During a lunch stop, I randomly met an agriculture officer who is working on a project near Chamgang, the village that I’m relocating to. Again we exchanged phone numbers and promises of meeting again. There was a little excitement on the bus when a taxi driver passed us, stopped on the middle of the road in front of us, then got out and began yelling at our bus driver. I have no idea what it was about, but it did escalate to fisticuffs. At one point, the taxi driver jumped into the bus seat and let go of the brake. There was a moment of panic while everyone scrambled to get off the bus, and the men outside manhandled the taxi driver to the ground. Shortly after, the whole ordeal just kind of ended. The taxi driver got back into his taxi and sped off into the sunset. I’m still baffled as to what it was all about. I don’t think I’ve witnessed someone raise their voice in this country, let alone fight. It’s hard to describe how out of place the whole thing seemed. Anyway, I had a pretty good time hitching and bussing my way around Bhutan. On my way back towards Nangkor, I intend to do it again. Perhaps with more hitching and less bussing. I’d share some photos, but my internet just isn’t good enough to do it right now. Stay tuned for when I find a free wifi connection. I’ve been meaning to write this blog post for a long time…. almost a month now. But every time I sit down to write it, I lose my words. I stare at my computer screen for a while, contemplating how to start. Inevitably, I abandon the project without writing a word. I can’t even seem to narrow down why I can’t write. In part, I think it may be that I know that I lack the talent as a wordsmith to capture what it’s like to live in Bhutan. Putting this experience into words seems an impossible chore, and has from the moment I arrived. It’s just so different in so many amazing and powerful ways. Also to blame is the simple truth that I just don’t seem to want to spend a minute of my time here reporting on it, instead of experiencing it. Canada just seems so far away right now… sometimes I forget that there are people at home (and elsewhere) waiting eagerly to see pictures and hear stories of this place. One of the photos we have taken… this is our village of Nangkor. Nevertheless, here is what can only ever be an awkward and inadequate attempt to introduce you to our new life here in Bhutan and to explain just a little about why it is so darn special. It is in no way complete and it certainly lacks details, but hey…. it’s a start. 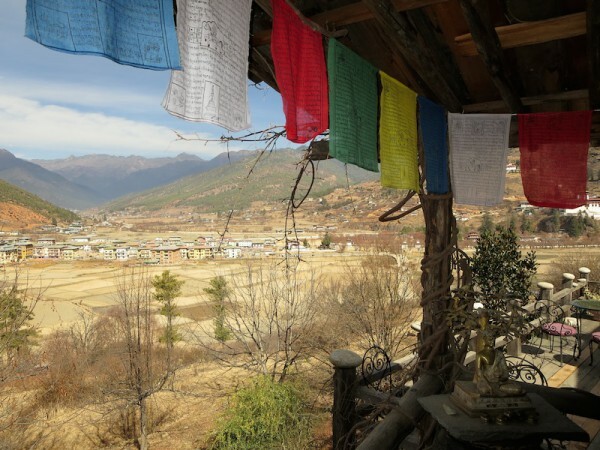 Bhutan is often described as the last Shangri-La, and it’s easy for me to see why. It is the most beautiful and unique country I have ever had the privilege of visiting. Beauty permeates everything – the landscapes, the architecture, the people, the culture, the rituals, the religion, the language, and even the smallest of interactions. There is an overwhelming sense of community in everything that is done – a culture of friendliness, respect, and hospitality. Gross National Happiness is not just given lip service – it is real and tangible. The people are warm and caring, quick to smile and have an intrinsic pride in their country and traditions. They value happiness over money, friends and family over work, and community over the individual. They are open and honest about their way of life and seem to have a good understanding of the problems facing their little nation (I only use the term “little” to describe the physical size… in any other measure that matters, it is grand). Don’t misunderstand me. Bhutan is not Utopia. Of course, like any country, it has its share of problems. With the introduction of television and the internet in 1999, the influx of foreign-made items, the seemingly universal desire for Western comforts, a road system that connects new villages every day, and a young, rapidly introduced education system, there are plenty of issues in the new democracy. On a local level, litter covers the walking paths, health care is primitive (especially in the eastern part of the country), the highways are treacherous, and the mountains make comforts difficult to obtain. There is a growing unemployment problem as more and more youth are educated to a higher secondary or post-secondary level, only to find themselves in an economy that doesn’t need their newly acquired skills and knowledge. Bhutan has had a massive growth spurt over the last 15 years, and like any adolescent it is in the awkward growing pains stage. I have never been more awed than when I first took in the daily assembly at my school. Students were reporting for the first time that morning, and they lined up in perfectly straight rows by class and section with seemingly no instruction. As the assembly began, they fell silent. Student captains led the student body in their morning chanting. Perfectly in unison, the deep baritone of the older boys and the soft, melodic tones of the girls blended together in perfect harmony and filled the space between us and the mountains. I found myself listening from a place deep within. It was surreal, listening to their melodic chants and peering out over their heads at the peaks across the valley as the sun rose in the sky. The students did not appear to be bored or restless with the routine – they remained dedicated and engrossed in the task. It was a deeply spiritual, perfectly beautiful moment that has become one of my favourite parts of each day. Attendance at staff parties is required of all staff. I’m not kidding… for the first party I was invited to, I had to sign in duplicate that I would attend. As I would find out, attendance was not the only mandatory part of a Bhutanese party… a strong liver, huge appetite, legs that can take hours of sitting on the floor, the ability to say no when you mean yes, acceptance that even when you mean no you will be ignored and served more, a fondness for chilies (or at least the ability to grin and bear them as the tears roll down your cheek and mingle with the snot that drips ceaselessly from your nose), coordinated group dancing, and singing in Dzongkha. All mandatory. Oh, and for the fellas – the ability to open a beer bottle with your teeth. Of course, attendance doesn’t need to be mandatory. Everyone wants to go anyways. Spouses and children are welcome to join. Community, celebration, and togetherness are the name of the game here. Everywhere I go, people laugh and smile at me. I am the first white person that most of my students have EVER met. When I say “hi” to the shyer ones on a village path, they turn and run. But first, they giggle and smile. I have had a few rather excited and animated conversations with the elderly woman that lives in the next abode. I have no idea what she was trying to say, but she smiled when she did it. All these smiles are contagious… I find myself grinning like a fool all day. Honestly, I can’t remember a time where I’ve felt so much joy so often. The only time I have a hard time finding smiles is when I pull a camera out. Most of my students get really serious when they pose for photos. We’ve been working on breaking that habit, so that their beauty and spirit can shine in the photos. Everything in Bhutan comes down to community and togetherness. In Canada, I can spend an entire day teaching without interacting with another adult in the building. Here, my desk is in a room with half the other staff. I am never alone in the staff room, and there is almost always a conversation to be had. People work hard, but they value their time off. If teachers have a free period and don’t need to be planning or marking, they’re not. I still use my free time to create work for myself. They use their free time to tell stories until they are crying from laughing so hard…. you tell me which one is a better use of time. After work or school, students and teachers alike can be found playing football (or soccer, for all you North Americans), basketball, volleyball, khuru (darts), archery, a table game not unlike airless air hockey, and a game with rocks that I have yet to figure out. And it’s always together. I have yet to see someone go practice archery by themselves, or go for a walk by themselves, or shoot hoops by themselves… when the sun is up, people are outside and together. We live 10 km down the mountain from the nearest “town.” It takes 30 minutes by car or maybe 90 minutes of walking to reach Pemagatshel. I have yet to find out the exact length of time required to walk, however, because I can’t make the trek without being invited in for tea (by someone I’ve never met), being offered a ride (whether I’m hitching or not), or stopping to watch the monkeys and langurs playing in the trees. The other day, Mike and I went up to town to visit the ATM since we were literally down to our last dollar (no big deal… everyone at the shops will let us buy on credit). On our walk back down, a car stopped and offered us a ride back to Nangkor. The young man inside (whom we’d never met or even seen before) knew we had been to the ATM and were on our way back home. In any other country, I would be concerned about his intentions in picking us up. Here, the thought of malicious intent didn’t even cross my mind. At least not until much later when a friend mentioned it on Facebook. I am just starting to get to know my students, but they are such beautiful people. Their respect, kindness, and curiosity make me smile everyday. In Canada, it was a rare moment to get a thank you from my students. Here, the class thanks me each and every day as I leave their room. I am so lucky to be here doing what I am doing. As promised, this post didn’t do Bhutan much justice… but, unless you came yourself, I don’t think you could ever truly understand. Maybe that’s why I can’t seem to explain it… it needs to be experienced. This has been Mike’s and my mantra for the past year. Anytime one of us is feeling down, wanderlusting, or just plain daydreaming, we turn to each other and scream “Bhutan!” After a long day at work… “Bhutan!”. In the middle of a 14 hour day of driving across Canada with no radio… “Bhutan!”. Amid the Bangkok protests… “Bhutan!”. For us, it’s a word filled with meaning… opportunity, excitement, adventure, beauty, spirituality, simplicity, promise. It’s stepping out into the unknown. It represents the next chapter of our lives. A dream realized, the impossible made possible. And now it’s finally happened. We’re here. It’s not just a magic word anymore… it’s our reality for the next 12 months. We get to live and work in the Land of the Thunder Dragon…. 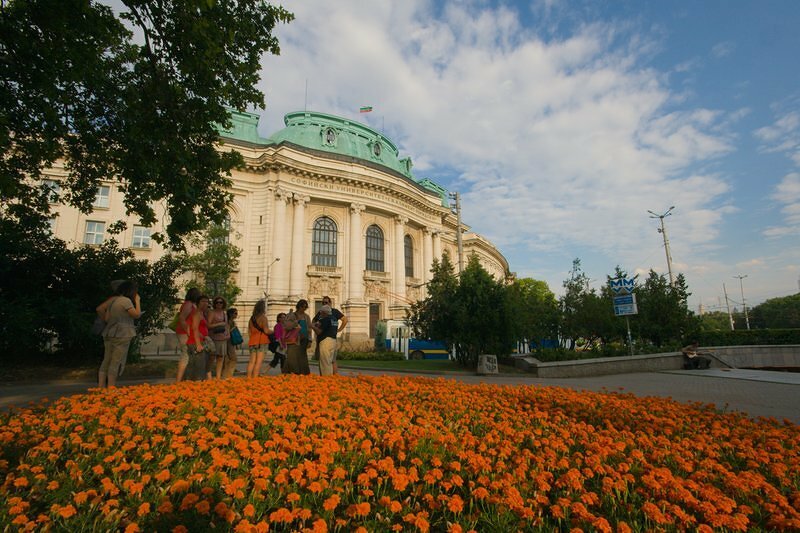 a country that values happiness over money, is set to become the world’s first organic nation, has already banned plastic bags and the sale of tobacco, has a strong national identity, and a spiritual Buddhist value system that permeates everything they do. It’s a place were hot chili peppers are the vegetable, not the condiment. Where gross national happiness values are incorporated into every government policy and school curriculum. And – if all of that isn’t enough for you – it’s in the freaking Himalayan mountains! I’ve been in the country for less than twelve hours, but it’s completely captivated me. Heck, it had me when I stepped out onto the tarmac of the airplane, took a deep breath, and tried to comprehend the sights around me. All the other BCF teachers I have talked to agree… there is just something special about this place. Something that can’t be pinpointed or put into words. An indescribable aura that’s impossible to ignore. It’s just different. And magical. It’s so much more than we expected. Times a million. I have just signed a one-year contract (in triplicate) to teach in one of Bhutan’s government schools through the Bhutan Canada Foundation (BCF). While this is considered to be a volunteer position back home, in truth I will be paid on a level similar to the local teachers – a little less than $400 CAD per month. This salary (or stipend, depending how you want to look it) will cover our rent, food, and some travel within the country. We’ll still have to pay all the start-up costs (airfare, the required travel insurance, etc.) out of our own pocket. While I’m teaching, Mike will be doing something… we’re just not quite sure what yet. Note: It was a bit of a long journey to get here through the BCF. If you want to read all the details, great. If not, don’t miss out on the photos at the end! 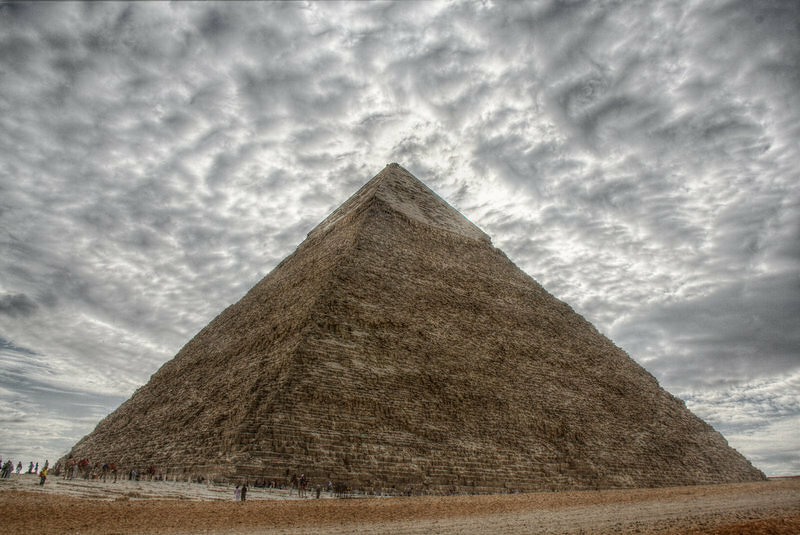 March 2010 – We decide to take a one-year leave of absence and travel the world. November 2010 – I apply for a leave of absence. It is denied within minutes. I put in my resignation the next day. Our one-year timeline has been blown wide open. December 2010 – While flipping through an “Off The Beaten Path” travel guide, I read about Bhutan for the first time (offered as an alternative to trekking in Nepal). I immediately showed Mike, but when we discover the visa costs ($200-$250 per person per day) we put it on the “we’d love to, but it will never happen” list. I can’t shake the feeling that our frugality is creating a missed opportunity. Somehow, I am already in love with this country. July 6, 2011 – We leave home for our RTW with no itinerary and no return date. This begins an amazing journey of personal discovery. Over the course of 21 months on the road, we began to turn our thoughts towards home again. February 2, 2013 – We try to explain to a nomadic friend of ours that we are ready to move home, get jobs, and settle down for a while. He isn’t sold. More telling, however, is that neither are we. February 3, 2013 – We decide we are ready to settle down and get jobs, but maybe Canada isn’t what we’re looking for right now. We start researching ESL jobs online, with the intention of both of us teaching English for a year. Japan, South Korea, Russia, and Mongolia top our list. 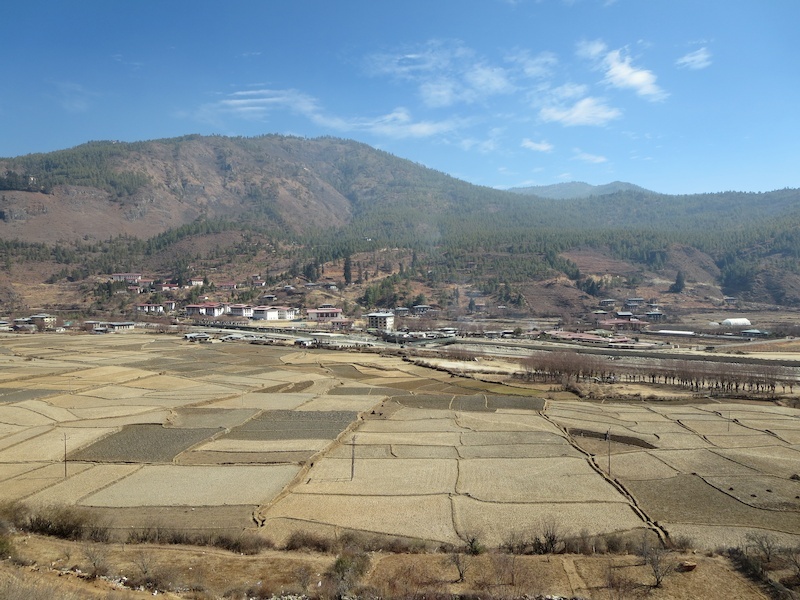 February 5, 2013 – Still searching for that perfect job, I come across a listing for a volunteer teaching position in Bhutan. It requires a Bachelor of Education, three years teaching experience, or a teaching certificate. I have all three. Mike does not. We dismiss it. 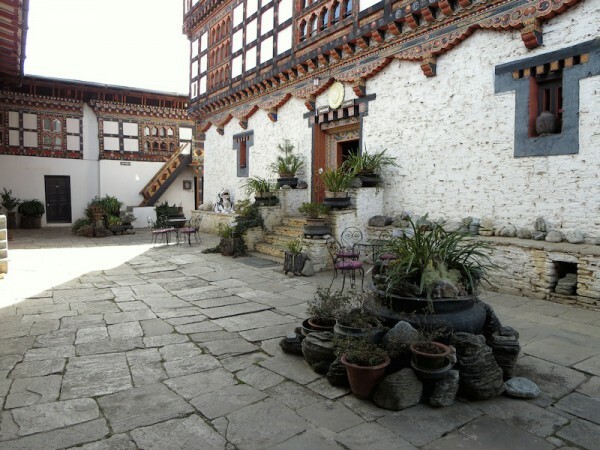 February 10, 2013 – Still dreaming of the possibility, I check out the Bhutan teaching opportunity again. Buried on the BCF’s website, I find that non-teaching spouses are able to accompany teachers. It doesn’t take long for this to trump all other options. We decided then and there that we need to make this happen. March 23, 2013 – We return to Canada. 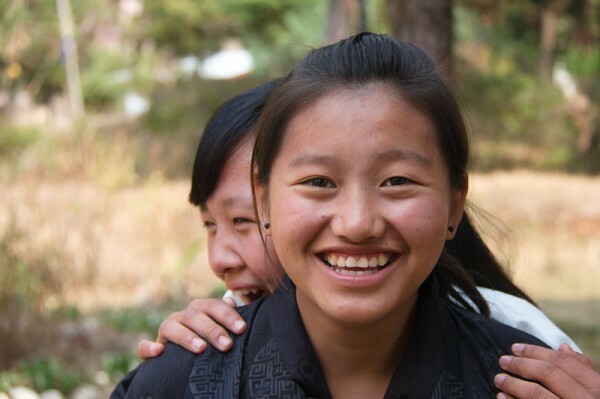 When anyone asks if we’re back for good, we tell them we want to teach in Bhutan for a year. We haven’t even applied yet, but we’re not going to let that stop us. Meanwhile, I start substitute teaching. Subbing allows me to reaffirm that teaching is what I’m meant to do… but I crave connections with students that subbing doesn’t allow for. May 1, 2013 – Applications for the 2014 BCF school year open. I spend a good chunk of my day updating my resume, filling out the lengthy application and going over it again and again. I submit it that very afternoon. May 14, 2013 – I am offered a permanent contract with my former school division. These aren’t always quick to come by, so I have to at least consider it. Although the BCF timeline is a little vague, I know the first round of interviews happen sometime in June and applications don’t even close until July. I contact the BCF foundation to see if I’m even a potential candidate. They assure me that my teaching experience + my specialty (a Bachelor’s of Mathematics) make me “a VERY strong candidate.” I turn down the contract. Meanwhile, I accept a temporary contract that will have me teaching accounting (had to learn it over a long weekend!) and math until the end of June. May 28, 2013 – I receive an email requesting a first interview with BCF. I am so excited! June 14, 2013 – My first interview with the BCF takes place via Skype. It is with Jenna and Kristen of the BCF office in Toronto. I have my choice of time slots… but they are all during school hours. Fortunately, one falls on the afternoon of my first final exam, so I don’t have any students. I am told it will last about 45 minutes. It only lasts 20. I think this is a good sign. Most of the interview questions were about my credentials and how I would deal with some of the basic living and working conditions in Bhutan. I share my experiences living in my house in Bulgaria for a month with no power, no running water, and no working toilet. They are convinced I’ll be okay. June 20, 2013 – I find out I’ve earned a second interview. June 27, 2013 – My second interview with BCF. This one is over Skype with a BCF representative in Bhutan, three Bhutanese math teachers, and a government official. I am sent the Grade 9 and 11 math curriculums to prepare. I expect to be quizzed on long-range plans, classroom management, project-based and inquiry learning, and questions like “What would you do if half your class fails a test?”. I am right. For the first 10 minutes. Then begins 40 minutes of firing round questions from the math teachers on how I would teach everything from logarithms to continuity to stocks and bonds to digraphs. I don’t even know what digraphs are. I am familiar with their other questions, but having never taught the senior maths (thus far, my experience was with Grade 9, 10, and some 11 math) I have not considered how to teach these concepts. Or even looked at them in the seven years since university. Did I mention that it is a 6 am interview? Good thing they can only see my neck up, because I am sweating profusely. I don’t even know how to answer half the questions, but I spit some feeble words out hoping they will let up. They don’t. I am decimated. And it’s still only 7 am. I feel sick to my stomach and feel the dream slipping away. I refuse to answer anyone’s questions about it, except to say it could have gone better. I find a few minutes that afternoon to meditate, as it is the only way to clear the feeling of dread that consumed me. June 28, 2013 – Once the tiredness wears off, I look at my situation logically. I didn’t answer the questions to my personal standard, but did I really do that bad? And if I did, perhaps I could beg a second chance and spend some time preparing for it. I decide to just deal with whatever outcome there is and stop losing sleep over it. July 7, 2013 – Nearly two years after we left for our RTW trip, we leave home for a two-month eastern Canada tour. We carry all our Bhutan documents with us in physical and digital form… just in case. July 10, 2013 – It turns out all the worry and panic were for naught. The BCF contacts me to tell me that they want to move forward with my application. I start organizing the documentation. August , 2013 – While getting a strange noise in our car investigated at a dealership in Sault-Sainte Marie, I take advantage of the free wifi to discover that my name is officially being put forward by the BCF for government approval. Mike and I do our happy dance. September 13, 2013 – I submit all documentation, including a complete medical. We also return home from our Eastern Canada trip. October 13, 2013 – I am offered a replacement contract at my old school in Regina until the end of first semester. I double check the Bhutan timeline. I would have to be Bhutan the day students would start their semester one finals. The school accommodates me, and I start a full-time teaching gig that keeps me insanely busy for the next three months. October 26, 2013 – I FINALLY hear that the Bhutan Ministry of Education has approved my application. It’s almost official. Just need the rubber stamp from the Royal Cival Service Commission. November 14, 2013 – The RCSC has rubber-stamped my application. Five and a half months after submitting my documentation, I AM OFFICIALLY GOING TO BHUTAN. November 27, 2013 – We find our our placement. Nangkhor, Pemagatshel in southeastern Bhutan. That’s really all we know and can find out… the name. November 30, 2013 – We submit our final documents and BCF contract. 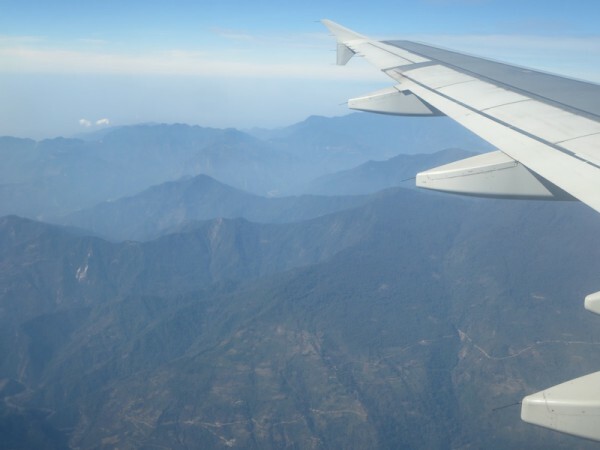 December 14, 2013 – We pay the BCF for our Druk Air flights from Bangkok to Bhutan and the required medical insurance. December 21 to January 5, 2013 – We try to get in as many last hurrahs with friends and family as we can during Christmas break. Unfortunately, this leaves little time or energy to think about packing. January 9 & 10, 2013 – I give three math classes their final exams in class (and mark them! ), plus mark my Computer Science 20/30 final projects. This is a marathon no teacher should ever have to do. January 11, 2013 – We start packing. And by packing, I mean throwing things we think we want to take in a pile in the middle of Mike’s parents living room. Luckily, they tolerated our pile for 4 days. January 13, 2013 – I finish my last day of work. Now to fully turn my attention to Bhutan. January 14, 2013 – At 3:30 pm, the first item gets packed in a backpack. We’re due at my mom’s at 6pm, where we will spend the night and get an early morning ride to the airport. We also receive a little more information about our placement location, school, and accommodation. January 15, 2013 – We leave home, flying from Regina to Minneapolis to Tokyo to Bangkok. Luckily we have 4 days to recover from jet lag and general exhaustion in BKK. January 16, 2013 – Somewhere in Tokyo, we find our DrukAir eTickets in our inboxes. We were relieved and happy to have them. 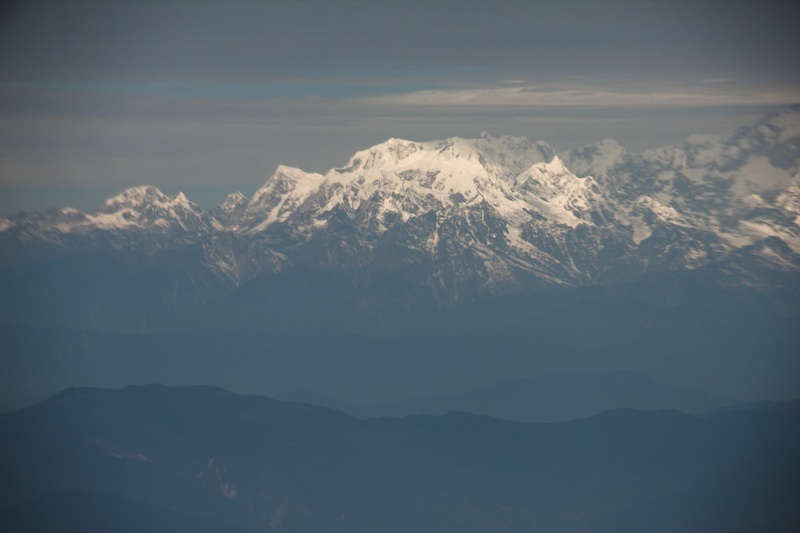 January 17, 2013 – After arriving in Bangkok, we finally receive our Bhutan visa clearances. Whew! January 21, 2013 – Despite the lack of airport shuttles running, we have no problems flagging a taxi at 3:30 in the morning and arrive at the airport with lots of time to spare. After an amazing descent in Paro valley, we land in Bhutan and are instantly blown away. The BCF had approximately 250 applicants this year. Eighty were granted a first-round interview, 60 were granted a second-round one, and I am one of the lucky 18 that made it to this point. As you can see, it was a loooong process from the date of application to the official confirmation that we were accepted. But it was 100% worth the wait. I’m sure you’re all dying to know the nitty gritty details about my placement and what’s to come, but now you’re going to have to wait. 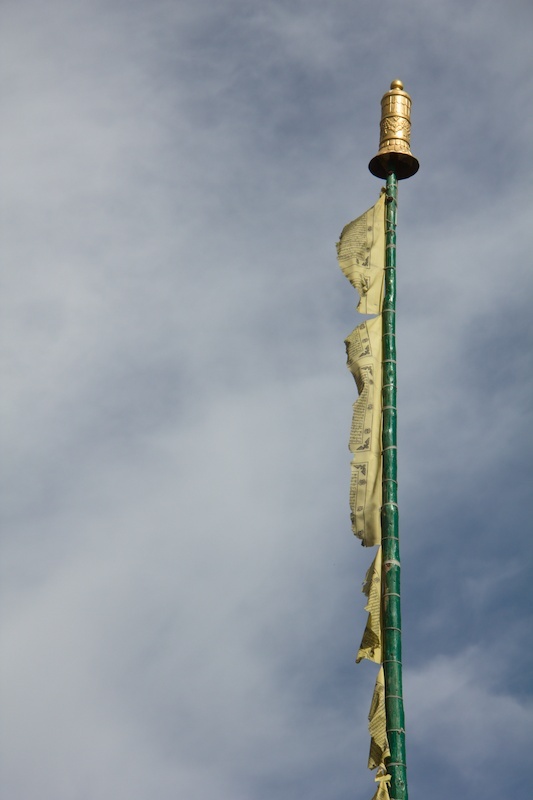 Because right now, we’re on BST (Bhutan Stretchable Time). And, more importantly, I have an incredible city to explore. Until next time… (whenever that will be – we have no idea what the internet situation is going to look like from this point forward). Relax. No one actually got shot. (Except some of the protesters, if you’ve been following the news. But don’t worry, we are safe and sound.) I’m talking about getting shots. As in needles. Immunizations, if you prefer. Before our RTW trip, we did extensive research into required and recommended vaccinations, anti-malarials, and other health care issues. One of the vaccinations we needlessly got was Japanese encephalitis… exposure to the virus itself results from a quirky cocktail of lengthy stays in rural Asian areas, pigs, monsoons, and mosquitos – a situation we just didn’t find ourselves in. Now, three years later, we are heading to rural Bhutan. Which is in Asia. For a year. And where there are monsoons. There are definitely mosquitos. And possibly pigs. So, we need Japanese encephalitis boosters. Which carried a $265 price tag in Canada in 2011. And this time, we don’t have Mike’s company drug plan to dull the pain of the bill. Enter the Thai Travel Clinic… a clinic specifically designed for foreigners needing advice and vaccinations. The cost of a Japanese encephalitis shot there? Approximately $16 CAD. So we showed up in Bangkok, made an appointment for the following day (not strictly necessary, as they take walk-ins), and proceeded through the most organized, helpful, sanitary, and easy-to-use health-care system we have EVER encountered (yep, that includes Canada). Not to mention cheap. When all was said and done, we spent 60 minutes checking in, filling out a health survey, discussing all our questions and concerns with a doctor, paying for and picking up our prescriptions and vaccines at the pharmacy, receiving our vaccines, and waiting around for 20 minutes just to make sure we didn’t have a reaction. Everything was well-laid out, there were no waiting times, and the doctor was incredibly knowledgeable. He went through our entire vaccination record to make sure we were prepared for Bhutan, ruled out the necessity for a rabies booster, discussed the risks/benefits of taking anti-malarials (we will be located in southern Bhutan in a malaria zone… he has talked with several doctors from Bhutan and put our malaria risk at 1% or less for the year – small enough that the benefits of taking anti-malarials for such a length of time would be outweighed by the risks from long-term use of the medication). He also prescribed amoxicillin and ciprofloxacine for each of us at our request and discussed how to use them. So, if you’re ever looking for friendly, knowledgeable travel health advice and you’re in the Bangkok area, definitely check out this travel clinic. It’ll save you a pretty penny. This summer, we visited several parks on the East Coast of Canada. Each of those parks seemed to offer one or more coastal trails. One thing they all had in common was a cliff-side passage. Those cliffs, more often than not, boasted a sheer drop-off of 30 feet or more. The landing wouldn’t be soft either. More than likely there would be some sharp, jagged boulders to greet you at the bottom, and enough surf to ensure your hopes of rescue were nil. There’s no doubt that you wouldn’t be walking away from a drop over the edge. Most of the time, these trails were a well-worn rut. Grasses and wild flowers grew tall on either side of those dusty paths. Proof that nary a soul stepped off that well-walked track. On occasion, those coastal cliff trails would pass dangerously close to the cliff edge they traced. Undoubtedly, this closeness would be marked by a sturdy fence and a brightly coloured sign stating in both official languages – DANGER – DO NOT CROSS – EROSION. Okay, there’s nothing unexpected about a sign and fence protecting the thousands of trail walkers that pass by each summer. But there is something unseemly, odd, and profound about the fact that each and every well-worn trail continued on past each and every guardian sign to the crumbling cliff edge. The first time we saw it, I remember remarking to Ashley something about how the idiots who jumped the fence and wore that path deserved whatever welcome the rocks and wave below decided to give them. Why am I telling you this? 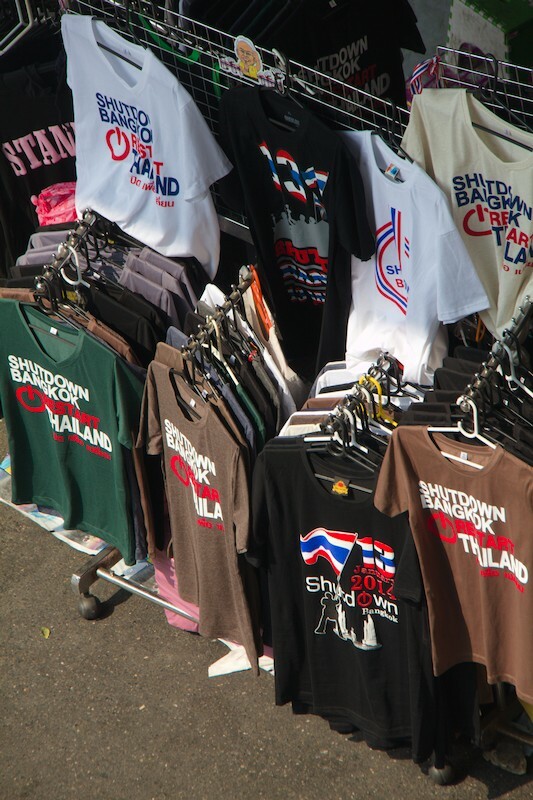 Because I proverbially jumped that fence today in Bangkok. 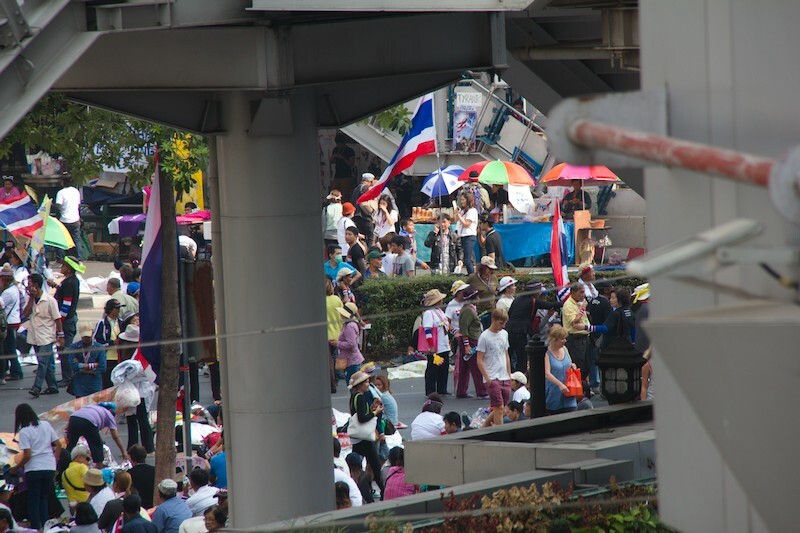 For those that haven’t been following the news, the Thais are staging a number of protests in the capital city. Some of those protests have turned violent over the past few days, marked by drive-by shootings and grenade tosses into the protesting crowds. 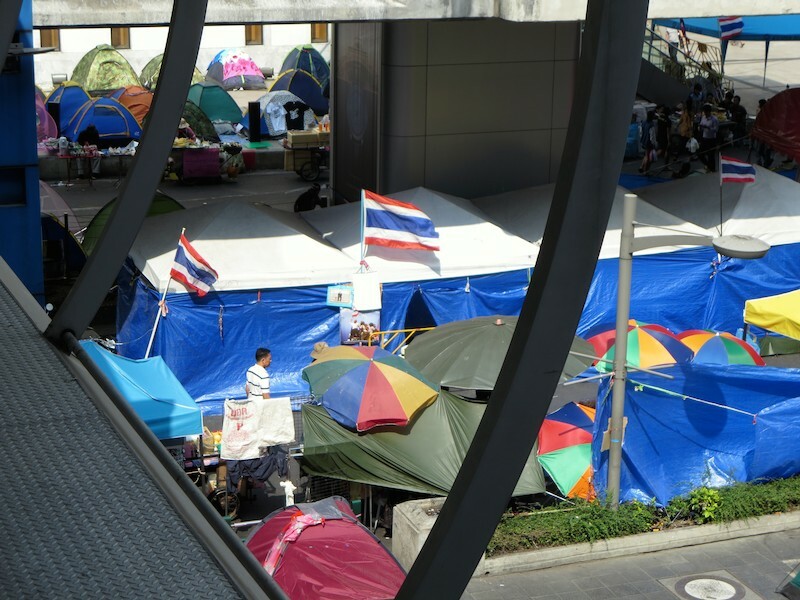 People on the street, the Thai government, and the Canadian government have all warned us against travelling near these demonstration sites. And we would have too, had it not been for my self-disabling electronics. Two days before we left home, my netbook gave up the ghost. When we got home from replacing it, one of the USB ports in Mike’s laptop went kaput. And a flash drive called it quits. Since arriving in Bangkok, my purse strap gave way and Mike’s favourite (and most expensive) SLR camera lens conked out. This must be the universe’s way of telling us we don’t need so much stuff. I sure hope it’s done, because I’m out of idioms that mean broken. Tomorrow morning, we leave on a jet plane to our host country for the next year, Bhutan. Bhutan is famous for a lot of things: picturesque landscapes, colourful dress, chili peppers, and gross national happiness. However cheap camera equipment is not on that list. That left me exactly today to replace my favourite lens, preferably with a used and affordable one. After a bit of google searching, I found exactly what I needed in the Foto File store located in Bangkok’s MBK mall. The very same MBK mall that’s been playing host to a protest site since the 13th of January. It’s also nearby the Hua Chang Bridge where a shooting incident left two injured in the early hours of the 15th of January. I also found this map which identifies the protest sites and violent clashes which may be of interest to you if you are currently in Bangkok, or arriving soon. So, like the good idiot I am, I dragged Ashley through the barricades, bag searches, vendors, news vans, and into the mall. I got a good story, some poor photos, a new camera lense, and a brief period of racing heart syndrome. Gladly, I can report that we made it in and out completely unscathed. I feel just like one of the fence hoppers I mentioned above. I sure hope that they all made it out unscathed too. P.S. Don’t tell my mom.